QuickShot™ moves air fast for quick inflation of your air springs and toys. Of Your Air Springs and Your Toys. QuickShot is a pressure-driven reservoir system that moves air faster. 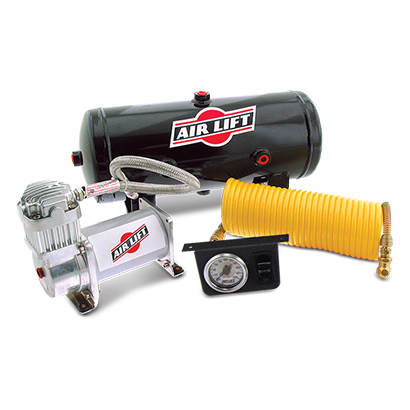 With a two-gallon reserve tank, you will always have plenty of compressed air when you need it. 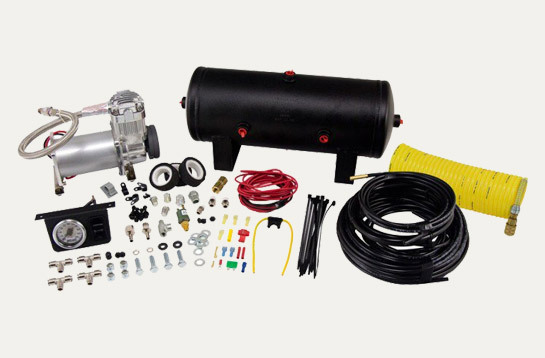 QuickShot comes with an easy-connect auxiliary air line, making compressed air readily available for adjusting tires or filling air toys.